Rick is a National and Internationally recognized firearms expert with 40 years’ of Federal government experience who began his career as a United States Marine in 1974. Over his 21 year career in the Marines, Rick received training as a basic armorer and as an advanced gunsmith at the precision weapons shop in Quantico, Va, where Rick subsequently served as the chief instructor of the facility. During his tenure at the Marine Corps, he was the representative that ensured the introduction of the M16A2 into the hands of the 6th Marine Regiment, coordinated the implementation and development of the Barrett .50 caliber sniper rifle and deployed to Colombia and developed armorer training for the Colombian Marines. Additionally, Rick served as a Marine recruiter, Marine Barracks (Security) duty in Naples, Italy, Marine Security Guard duty as Detachment Commander at the American Embassies in Kingston, Jamaica, and Moscow, Russia. After leaving the Marine Corps Rick joined the US Department of State, as a gunsmith and firearms instructor before joining the Bureau of Alcohol Tobacco, Firearms and Explosives, (ATF), as a Firearms Enforcement Officer in the Firearms Technology Branch (FTB). Rick’s tenure at ATF has included travel to Bosnia where he worked with NATO forces to gather evidence for the war crimes tribunals, assisting the governments of Colombia, Mexico, Interpol, Canada, Jamaica, Curacao, Costa Rica, El Salvador, Guatemala, and Australia with firearms regulations, statutes and prosecutions for the US Government. While at ATF Firearms Technology Branch where he served as both a specialist, Assistant Branch Chief and Branch Chief he wrote the first Standard Operating Procedures for all disciplines of the FTB, wrote firearms rulings, preparing firearm briefs for Congress and developed firearms identification courses and reviewed and approved all ATF firearms ruling produced by FTB. Rick was also instrumental in reviewing the National Firearms Act Trade and Collectors Association (NFATCA) for accuracy and trained Customs and Border Protection (CBP) on the intricacies of importation guidelines and the recognition of unlawful imports. Rick has received a public service award from the United States Attorney in the 4th district, ATF’s Distinguished Service Medal, and numerous letters of appreciation from ATF, FBI, and foreign law enforcement, noncommissioned officer in charge of the year for the Marine Corps, and was presented with a commendation from the Director of Diplomatic Security. 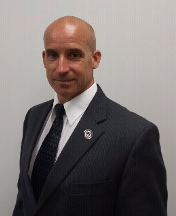 Scot Thomasson is a highly decorated former federal agent with more than 25 years of national and international experience. He began his career in 1987 in the U. S. State Department where he spent five and a half years serving at various overseas posts. Scot’s assignments ranged from, personal protection of high threat foreign dignitaries here and US officials overseas, United Nations duty, counterterrorism and counterintelligence work abroad, physical security design and the management of US facilities and residences in several Central and South American countries. Scot transferred to the Justice Department’s Bureau of Alcohol, Tobacco, Firearms and Explosives, (ATF), as a Special Agent assigned to the Colorado Springs Field Office. During Scot’s more than 20 years with ATF he has served as the: Resident Agent in Charge of Northern Indiana, Chief of the Firearms Enforcement Branch ATF headquarters, Director of the Youth Crime Gun Interdiction Initiative, Assistant Special Agent in Charge, Seattle Field Division, Acting Chief International Affairs Office, ATF headquarters, Chief of the Public Affairs, ATF headquarters and finally as the Chief of the Firearms Operations Division which is the program office that accounts for 80% of the agency’s mission. During Scot’s more than 25 years with the federal government he has served as an operator with the Department of State’s Mobile Security Division, a Sniper with ATF’s Special Response team, planned, participated and supervised numerous of high risk operations, high threat protection details and sensitive investigations. Additionally he has orchestrated, developed, and executed successful media strategies when dealing with local, regional, and national critical incidents, public image crisis, political missteps and accidents that threaten a brand and market position. Scot received the ATF Medal of Valor in 1995. He also is the recipient of the Federal Law Enforcement Officers Association Annual Group Achievement Award in 1999, the ATF Distinguished Service Medal in 2000, the United States Attorney General’s Award for Outstanding Contributions to Community Partnerships for Public Safety in 2005 and is a recipient of 15 Special Act Awards. Commander Clowers enlisted in the Navy Reserve in 1988 and progressed to the rank of IS2. In 1993 he was selected for commissioning as an intelligence officer. CDR Clowers’ tours include FIRSTEURLANT 0108, SOCOM 0208, HS-75, JAC EUCOM 0167, DIA 0466, NCIS 0166 and SOCOM 0108. CDR Clowers was mobilized in support of NCIS in early 2014 through 2016 in support of the Military Commissions prosecuting the five defendants from September 11, 2001. Prior to that he was mobilized in mid-2006 and deployed to CJTF-HOA as the J2X Operations Officer with a follow-on deployment to Iraq as the MNF-I Chief/Interrogation Operations. As Chief/Interrogation Operations, CDR Clowers was responsible for development, implementation and monitoring of interrogation policy for the theater and for the intelligence screening of over 26,000 detainees. CDR Clowers has been on long term orders with Joint Intelligence Operations Center Europe, Joint Reserve Intelligence Support Element (JRISE) Detroit since November 2012. CDR Clowers is the Chief/Joint Operations for approximately 200 joint intelligence reservists distributed between Selfridge Air National Guard Base and Wright Patterson Air Force Base. His personal decorations include the Defense Meritorious Service Medal, Joint Service Commendation Medal, and Navy Commendation Medal. A Tennessee native, CDR Clowers retired after 24 years of service as a special agent with the United States Department of Justice. 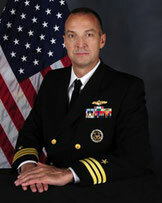 He served in a variety of positions throughout the United States and South America, retiring in 2012 as the Attaché for South American Operations. He has also spent significant time since retirement working as an instructor throughout Africa in support of Department of Defense and Department of State initiatives. Mr. Penate retired as the ATF Regional Attaché, representing the United States Department of Justice, Bureau of Alcohol, Tobacco, Firearms and Explosives (ATF). Mr. Penate and has served in various capacities as a Special Agent. Prior to retiring and serving as the ATF Regional Attaché for Central and South America, Mr. Penate served as the RAC of a general law enforcement group in Syracuse, New York., the Field office was responsible for thirteen Counties in Central New York. S/A Penate served as the ATF Assistant Country Attaché to the U.S. Consulate General in Monterrey Mexico from June 2007 thru June 2010. From 1997 to 2007 Mr. Penate served as a street agent at the Los Angeles Field Division, San Diego Field office. From 1994 to 1997, S/A Penate served as a street agent in NYC, New York Field Division. From 1991 to 1993 S/A Penate served as an ATF IOI in NYC, NY. Mr. Penate is certified as an ATF Firearms Interstate Nexus Expert, and who has prior experience as an ATF Special Response Team operator and a (EUP) Enhance undercover program member. He is a graduate of New Jersey City University with a bachelor’s degree in Criminal Justice and Fire science. He currently lives San Salvador, El Salvador. Throughout his ATF career, Mr. Penate has worked numerous Federal firearms, explosive and arson investigations as a case agent and undercover agent. Mr. Febbroriello is a Texas and Massachusetts licensed attorney with experience representing prime and subcontracting defense companies assisting them with regulations promulgated by the State Department (DDTC), Department of Defense (DCMA, PARCA), the Commerce Department (BIS) and the Bureau of Alcohol, Tobacco, Firearms and Explosives (BATFE). He regularly works with firearms and munitions companies on a variety of matters ranging from the ITAR and export compliance to general corporate matters and litigation risk management. Mr. Febbroriello has worked extensively with microcap and small cap growth companies on various United States stock exchanges and quotation systems including the NYSE, NASDAQ and OTC Markets and he has successfully closed PIPE financed RTOs and registered offerings for companies valued up to $500,000,000. Mr. Febbroriello also represents leading investment banking institutions, placement agents and FINRA/SIPC registered broker dealers and he is a registered FINRA Arbitrator. Mr. Febbroriello is a graduate of Hong Kong University, Suffolk University Law School, and Gettysburg College. He holds an LL.M. in Corporate Finance, a Juris Doctor, a B.A. in Psychology and he speaks and writes Mandarin Chinese. While attending law school Mr. Febbroriello clerked for the Rhode Island Business Court under the Honorable Michael J. Silverstein and studied European Union law at Lund Universitet in Sweden.